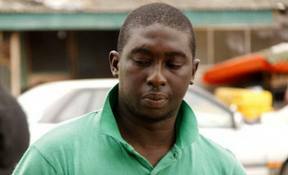 Yimiton's Blog: Remember Mr Akolade Arowolo, alleged wife killer? He collapsed in court. 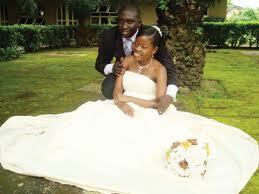 Remember Mr Akolade Arowolo, alleged wife killer? He collapsed in court. Mr Akolade Arowolo, standing trial for allegedly killing his banker wife, Titilayo, Tuesday collapsed inside the dock of a Lagos State High Court in Ikeja, southwest Nigeria, where he is being tried. The development forced the judge, Justice Lateefat Okunnu to hurriedly halt the trial and adjourn the matter till Thursday. Arowolo’s counsel, Mr Olarenwaju Ajanaku had drawn the court’s attention to the plight of the accused, asking for a short stand down of the matter to enable him take his drugs. The judge agreed to stand down the case but later adjourned the matter when it was clear that Arowolo could not continue with the trial as a result of the pains he was experiencing. 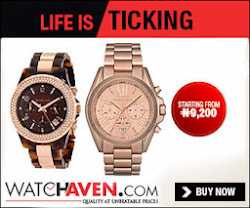 The accused was charged to court for allegedly stabbing his wife, a banker, to death, on 24 June, 2011, at their residence located at 8, Akindeinde Street, Isolo, Lagos. Earlier, before the matter was adjourned, the Lagos State Directorate of Public Prosecutions (DPP) led by Mrs Olabisi Ogungbesan, called two witnesses to testify before the court. The witnesses, Inspector Benson Ajie from State CID, Panti, Yaba and Sergeant Bayem Cletus from Aswani Police Station, testified that the confessional statements made by the accused were done voluntarily and with caution. The two statements written by the accused at the Aswani Police Station on 27 June, 2011 and three others written on 30 June and 4 July, 2011, were admitted by the court as Exhibits P48 to P52.